It’s been 25 years since Joel Hodgson first brought Mystery Science Theater 3000 (MST3K) to television and our love of so-bad-they’re-good B-movies continues to grow. 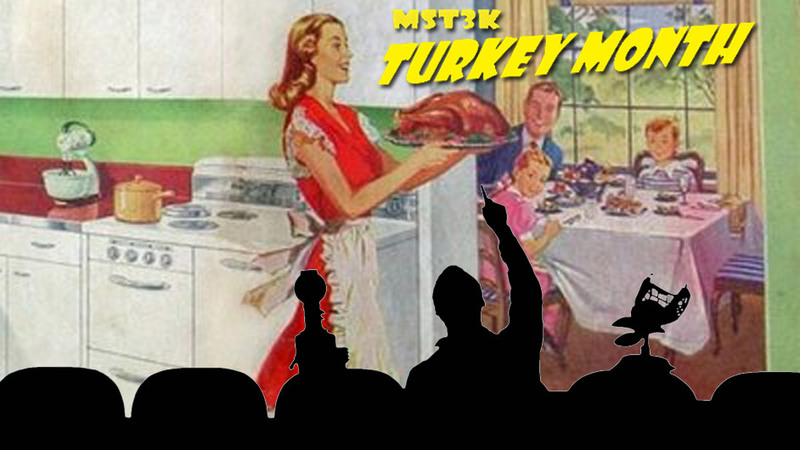 One of the traditions of MST3K was to have an all-day movie marathon each Thanksgiving. When I was young and single, my housemates and I would often host Thanksgiving dinner for our friends and we always played the marathon throughout. We loved rewatching This Island Earth and Manos Hands of Fate. This year you can share in the magic or relive your own thanks to ShoutFactory, which is hosting an online streaming marathon this Thanksgiving. You can find the event here on Thanksgiving. Be sure to tune in to Hodgson’s Reddit AMA tomorrow (November 26) at 6:00 pm ET). And, for a real treat, read the MST3K origin story written by journalist David Brauer, which has never before been available online.